This image shows a pretty great layout idea that can be implemented in large spaces – especially open floor living room plans. 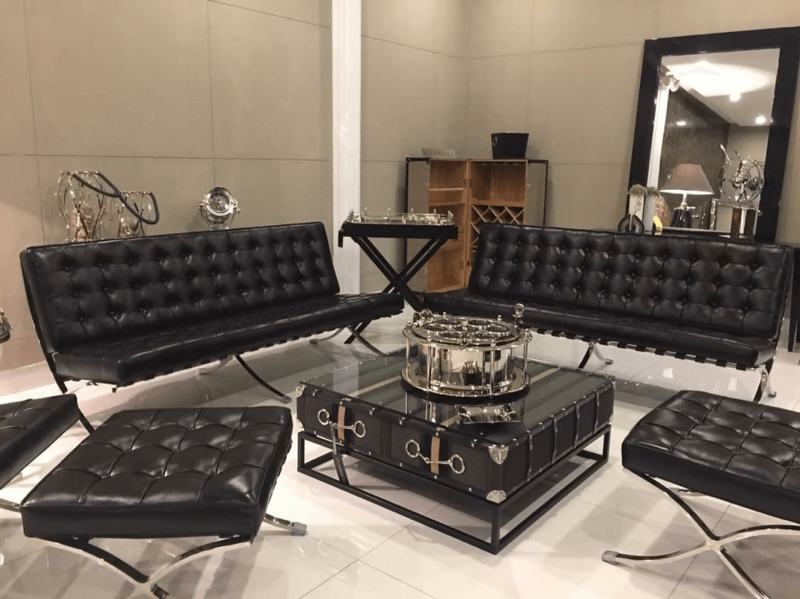 The two Barcelona style sofas arranged in an L shaped formation look extremely elegant. 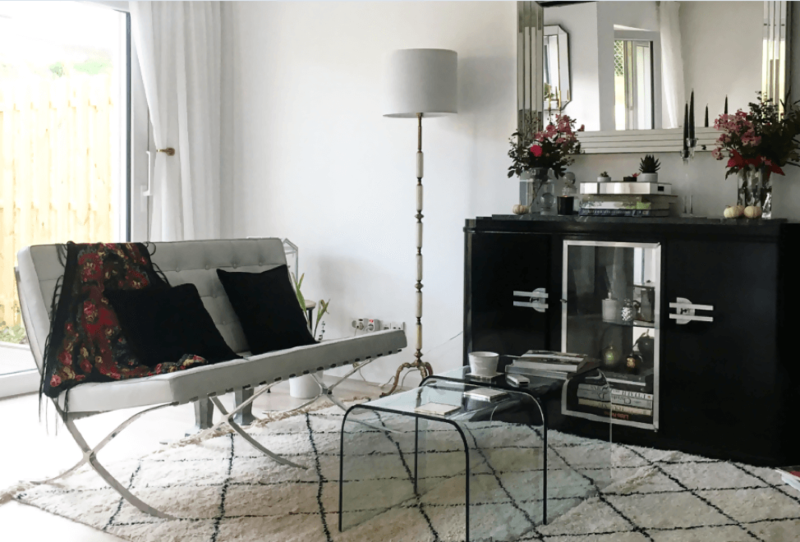 Coupled with the neutral backdrop and earthy color scheme, the black color of the sofa stands out amidst the entire ambiance. Even the coffee and side tables have been carefully chosen to elevate the presence of the sofa. The matching chair and ottoman provide some much needed contrast to the whole set-up. 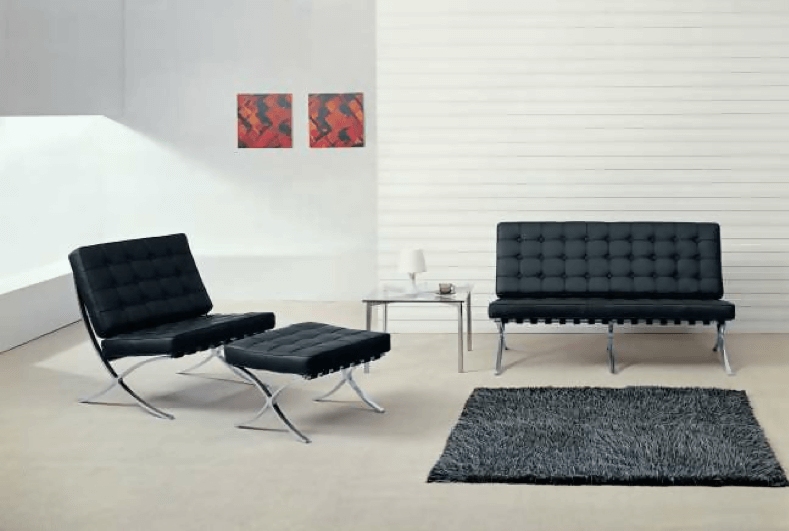 The Barcelona style sofa was designed at the peak oft he modernist movement. As such, it has a very minimal and clean design. You can easily set it up in a living room that is extremely basic. Just take a look at this image. It is just the presence and contrasting color of the sofa that emulates the whole space with charisma. The black on white designing feels extremely interesting without feeling overbearing at all. The great thing about the Barcelona style sofa is that it is very versatile in both size and aesthetics. Therefore, you can easily set it up in a number of small-style living rooms – such as the one featured in this image. Paired with the Moroccan rug, the classy accompanying furniture and lots of natural light, the sofa effuses the set up with the utmost sophistication without compromising its homeliness. You do not always have to pick a classical or traditional style theme when you want to effuse your spaces with a plush vibe.Take this modern living room as an example. The Barcelona style sofas immediately effuse it with a gorgeous stately appeal that is enhanced two-fold by the vintage-contemporary coffee table. The chrome base of these sofas looks absolutely gorgeous and is the modern version of ornate. If your living room has got a terrace and you want to enjoy outside views from it, then this particular idea would be a great inspiration for you. 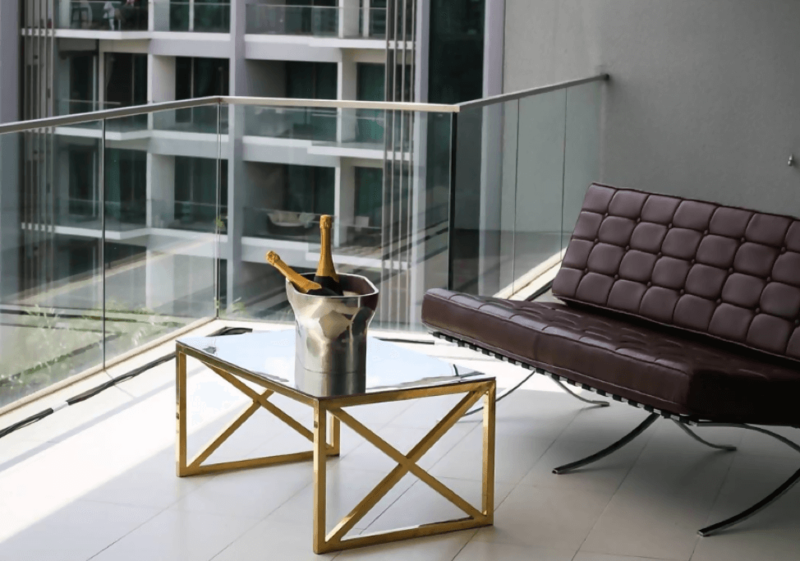 The terrace has been enclosed with a sophisticated glass and chrome railing that imbues the surroundings with a modern vibe. But the placement of the Barcelona style sofa by the edge takes the whole set up to an entirely different level. Coupled with the stylish brass table, the whole thing looks extremely stunning. 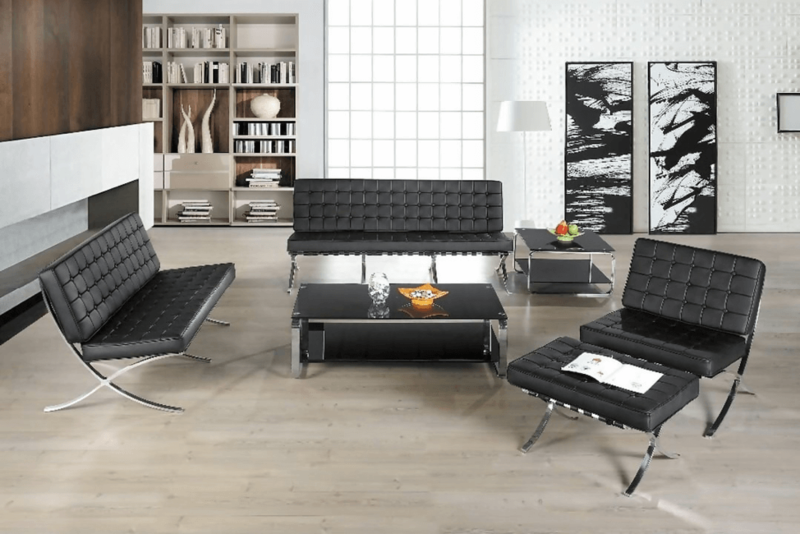 We hope that some of these layouts help inspire you to set up your own with the Barcelona style sofa. You can keep experimenting with the layout until you come up with something that satisfies you.